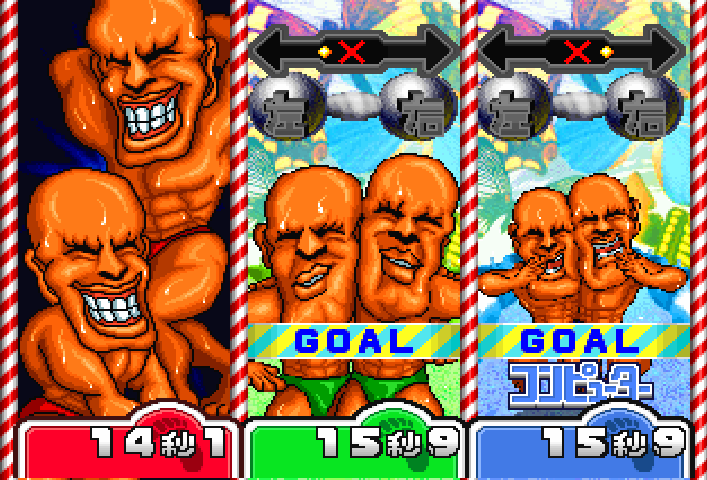 Chances are, we could enjoy our gaming for a thousand years and never again witness anything quite so singularly odd as Bishi Bashi Special. 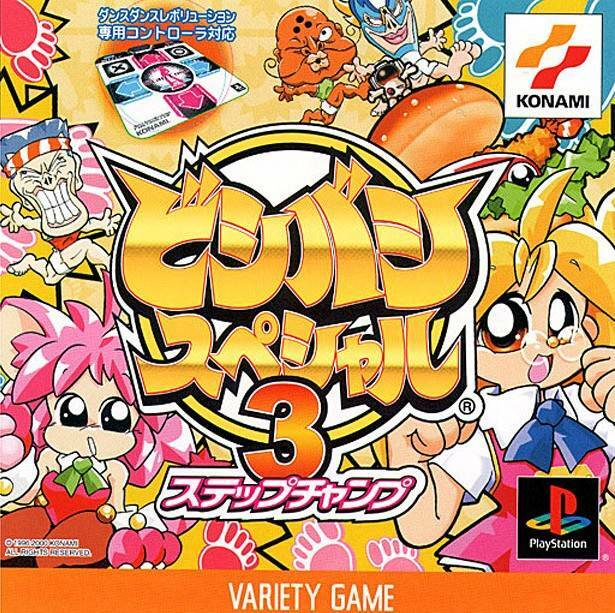 Whether it was button-mashing as much lead as was physically possible from a mechanical pencil, knocking down skittles with a remote controlled car, or mimicking the musical timing of a tambourine-wielding chimp, the game took eyebrow-raising irreverence in its stride and, more importantly, delivered wholeheartedly in the gameplay stakes. Alas, with the days of retail-standard party extravaganzas already a thing of the past, it's the past we have to look to in order to unearth more of Konami's lauded zaniness. 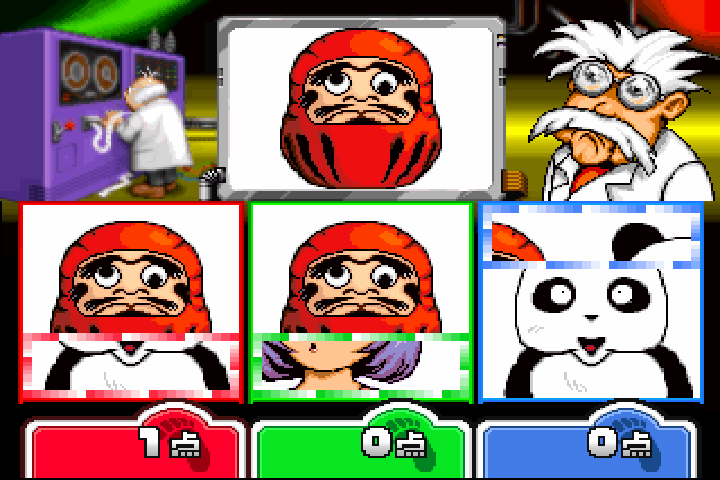 BBS3 happily has lost none of its surreal quality or inherently addictive gameplay. Games test your mettle in a variety of ways, from manoeuvring your brightly-coloured anime girl over a skipping rope through good timing, to skits on Konami arcade classics Dance Dance Revolution and Guitar Freaks, and a back-and-forth balance race as you drag a pair of oiled, semi-naked muscle men through a one-legged race. Highlights are numerous, with almost all of the mini-games proving a success in their own right. 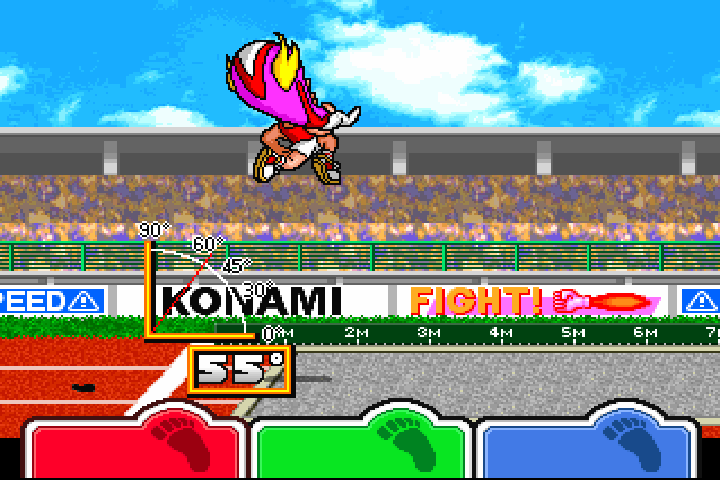 There are four athletics events which, for all their gleeful lampooning of Konami’s own Track & Field lineage, turn out to be just as much fun as the main series. Elsewhere, BBS’s delightfully unabashed, oriental oddness shines through, notably in a button-basher where the aim is to make your child cry faster than their competitors in order to make the watching father cave in with a reward. As the Step Champ subtitle eludes to, all of the games can be tackled with a dance mat, and there’s a nice mix of perception, reaction and memory tests. These are great fun, aided by some impeccable, responsive controls. It's bright, breezy and colourful. In places, almost defiant in how crude it appears. This feels somehow more acceptable when you get the impression that it's entirely with the purpose of making the player laugh at it – not many games can say that. Menus look good and smart presentation makes for an easy-to-follow experience, as even if you can’t read Japanese, important bits such as instructions, scores and lives are clear and understandable. 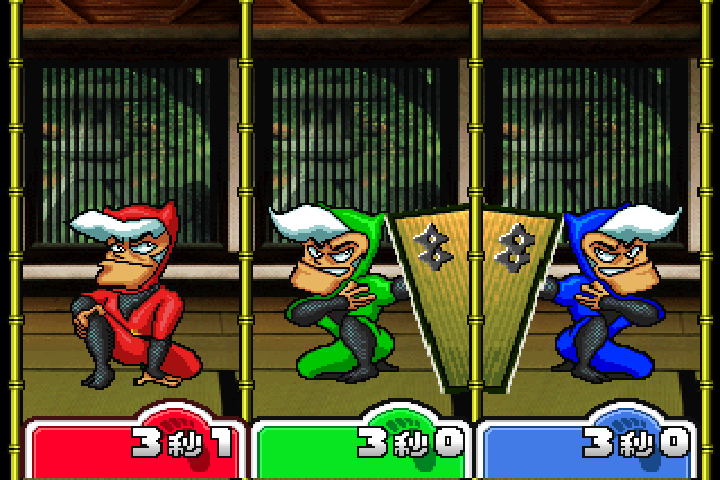 The only time the game comes unstuck is in the odd colour-coordination event. Whereas with the western release of BBS, colours corresponded to the appropriate symbols on the PlayStation controller, here red matches the pink Square button, and blue the Red circle key. It's likely that this is to remain faithful to the arcade version and doesn't affect the vast majority of events which require the square, triangle and circle trio to act as left/middle/right functions, but it does mean the normally rather marvellous Totem Shrinker event feels less than intuitive this time around. This third instalment is offers a bit less in the way of content than previous episodes. 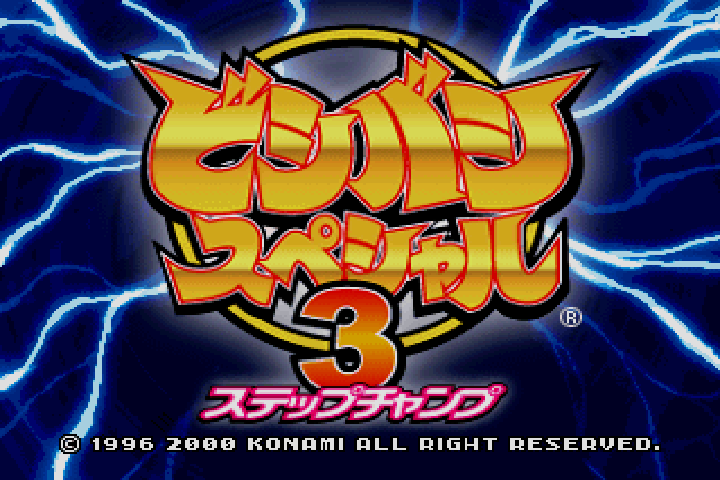 Whilst the “Super” and “Hyper” Bishi Bashi components consisted of a little over forty games apiece, BBS3 delivers an abbreviated marathon of around 23 games, plus an additional five tracks in a Dance Dance Revolution-style mode that adds further incentive for dance mat owners, as well as a couple of slightly reworked versions of the Olympic events, meaning there’s around thirty in all. 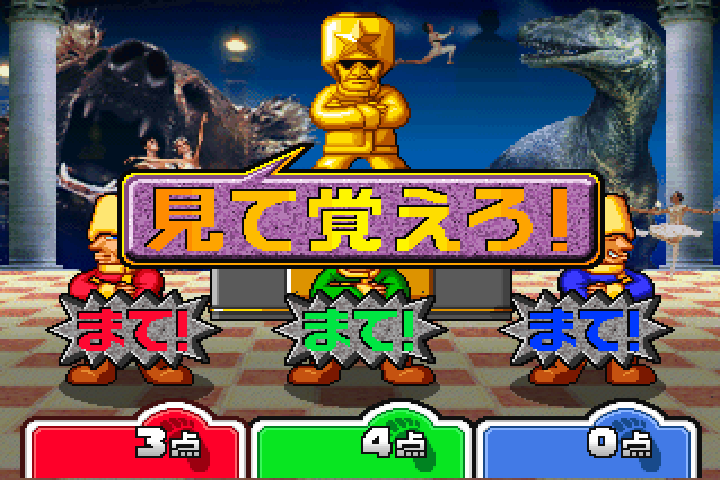 I'm in danger of normalising Bishi Bashi Special 3, which I shouldn't, because it's bonkers. Maybe I've played too much of the series. I loathe to use a phrase like “not everyone's cup of tea”, but I suppose if there was ever a game that on a thematic level might fit that, then it's this. That said, if concepts are less important to you than sheer enjoyment, then you'd have to be a bit mad to miss this. Moreishly addictive, marvellously unusual, sporting plenty of ideas, the only slight dampener on this superb party game is it could have done with more content. As it is, short but sweet. "BBS3 happily has lost none of its surreal quality or inherently addictive gameplay...Whilst it offers less content than would have been ideal, the quality of the multiplayer ensures that its longevity is stronger than the rather tepid numbers suggest."